Jesse Woods is a lo-fi, folk, pop singer, songwriter and his latest album “Autoflower” drops on August 25th on Peso Records. The first song off the album is called “Smoke Machine” and not only is it amazing, but the video for it was done by Jeremy Pailler. The good folks over VICE did a very nice write up about it and you can read part of it below. The paintings were done by French artist and director, Jérémy Pailler. The images take the viewer on a outlandish journey featuring flying turtles in fedoras, strange totems, rocky, fiery, landscapes shaped like guitars, and more bizarre creatures, also in hats. The result gives a sense that you’re walking through an actual painting or illustration, immersed in its peculiar vision. 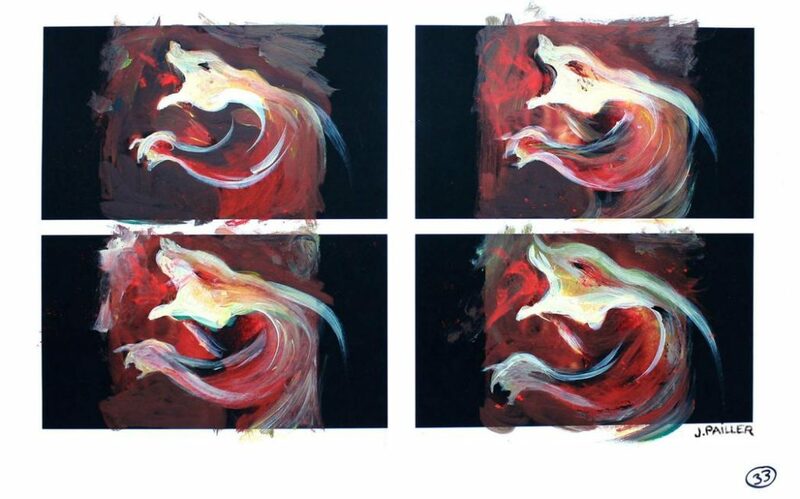 To create this sense of journeying, Pallier combined two techniques: filmed illustration with a camera moving over ink illustrations on paper, to created a sense of flow, and frame by frame animation of acrylic on paper. For the former technique, Pallier began by creating black-and-white sketches. From these, he inked images directly onto the paper, all the while anticipating the directions he would later be taking with the camera. 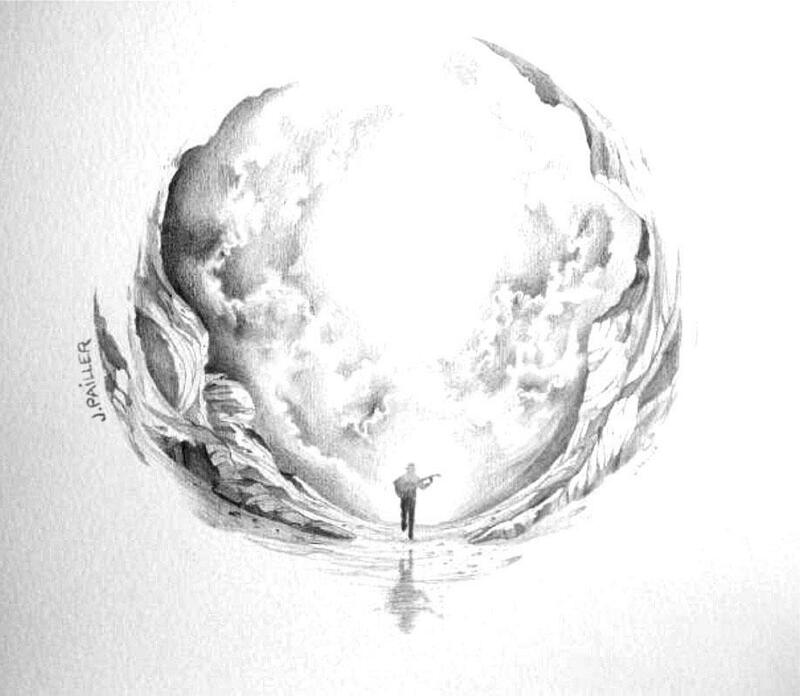 When it was finished, he scanned it and animates various elements on the computer. Sometimes this involved extracting parts, and other times adding in separate drawings that he did afterwards. 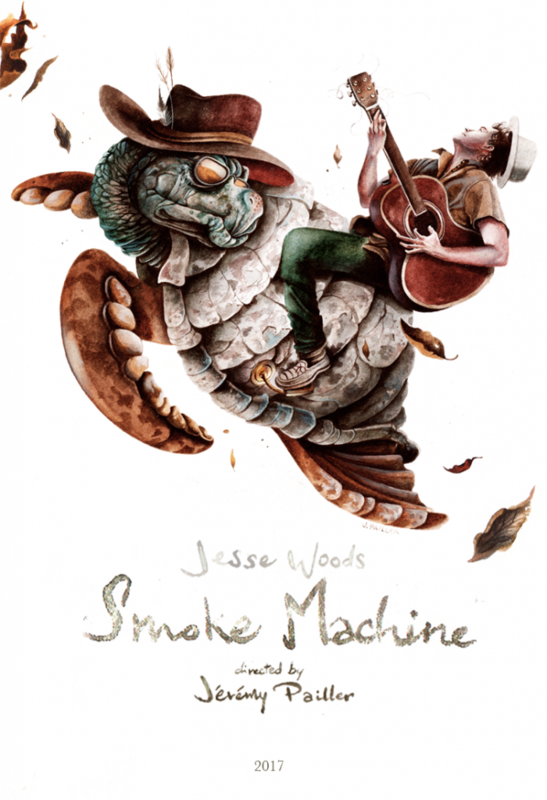 Here is the Jesse Wood’s video for “Smoke Machine” done by Jérémy Pailler. Get ready to be hypnotized, mesmerized, and bedazzled by the Jesse’s music and Jeremy’s video.